Used 2016 Mercedes-Benz E-Class Wagon E350 4MATIC Wagon for Sale in Denver CO 80220 Weisco Motorcars, LTD. 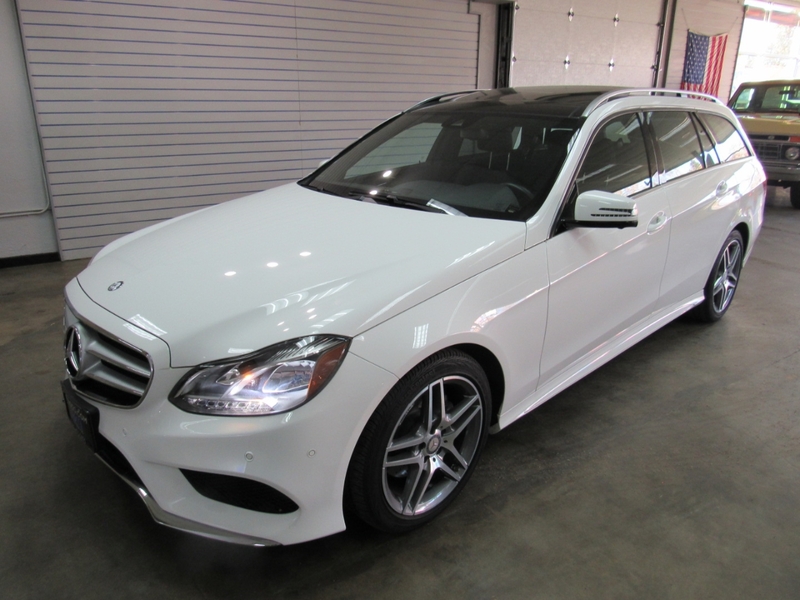 Very hard to find 2016 Mercedes-Benz E350 4matic Wagon with only 23k miles. This E350 Wagon is done in one of the best color combos of Polar white over Black MB-tex with Black ash wood trim. New this Mercedes had an MSRP of over $68,000 with nice upgrade options like: 3-spoke sport steering wheel, Power tilt / sliding Panorama sunroof, 18" AMG wheels, Premium 1 package, Lane tracking, Parking assist package, and much more. Both the body and paint are in very nice shape with no door dents or chips in the paint. The inside is also very clean and free from wear and has not been smoked in. Call Weisco Motorcars for more info or to set up a time to stop by for a test drive. Message: Thought you might be interested in this 2016 Mercedes-Benz E-Class Wagon.